…and I guess, a little about the destination too. 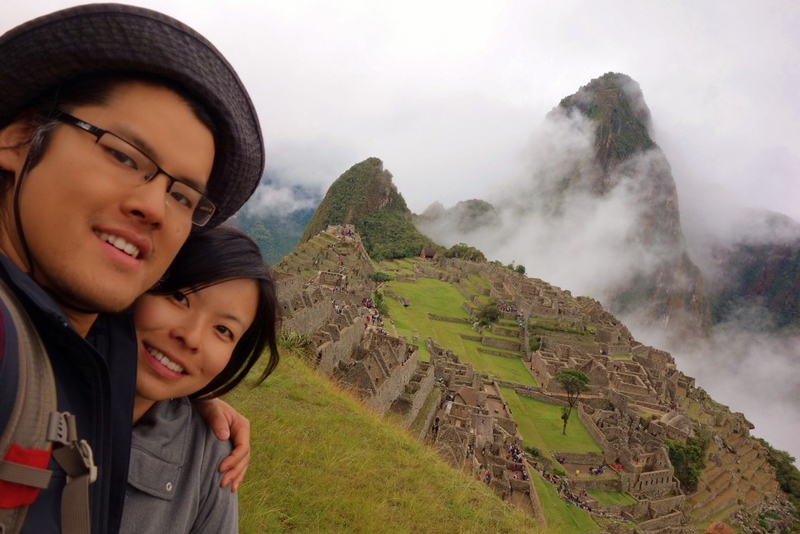 Having started our 6 months of travel with hardly more planned than a one-way ticket out of Canada, we found ourselves in Peru without anything booked for our visit to Machu Picchu. There are several ways to see South America’s most popular tourist attraction, but we knew we wanted to trek our way to the famous ruins. 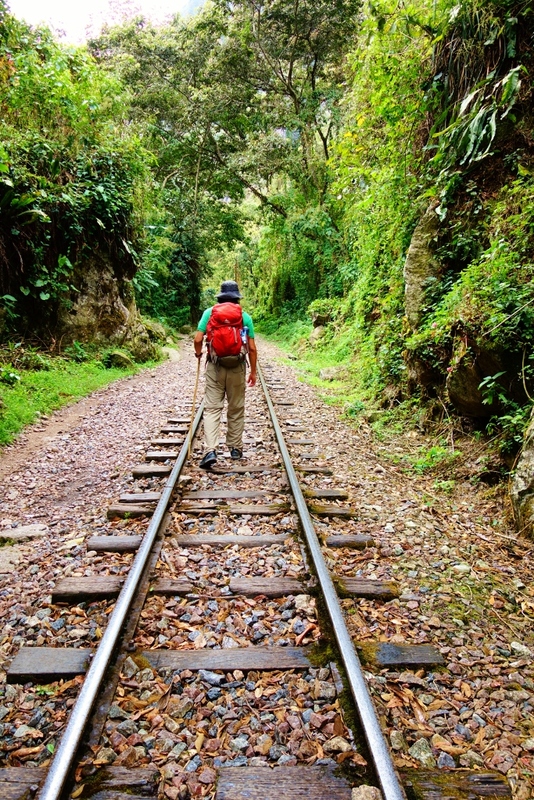 (Interesting little tidbit from our guide: most people take the train to see Machu Picchu, only about 20% trek). 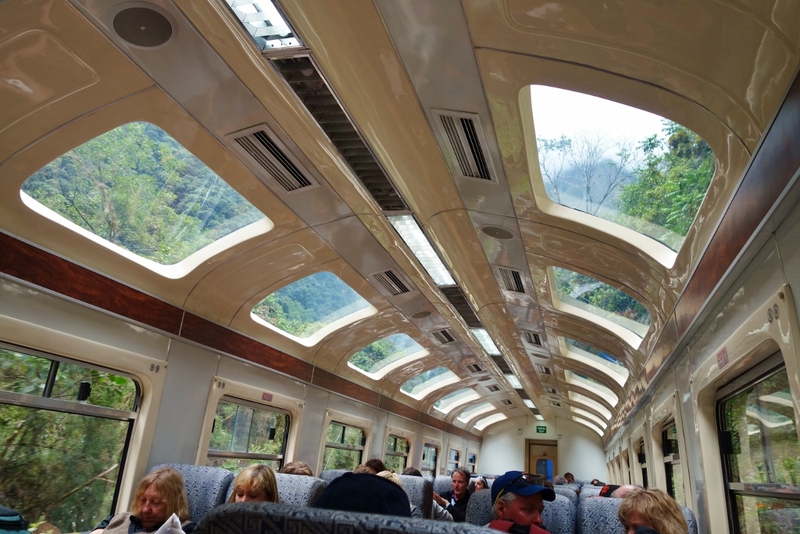 The train that takes you to and from Machu Picchu (PeruRail). We opted against taking it to Machu Picchu. But there was no way we’d pass up the return trip after 4 days of trekking! 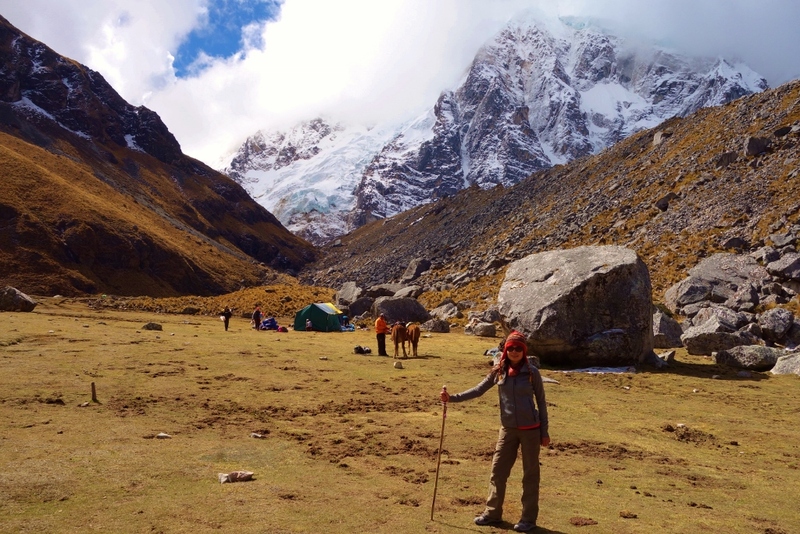 The most popular trek is the classic Inca Trail but since the Peruvian government has restricted the number of Inca Trail trekkers, only 500 people can take that trail up a day (including guides, porters, donkeys…ok, not donkeys). 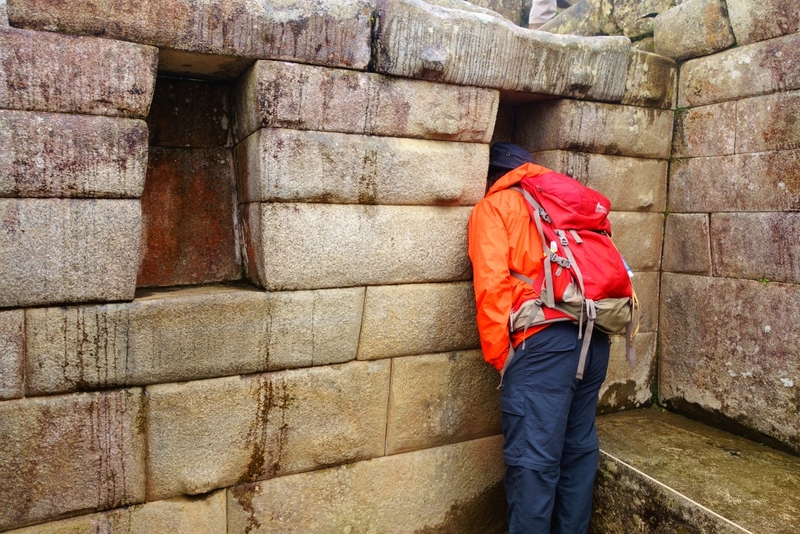 As a result, it has become nearly impossible to book the Inca Trail unless you’ve done a bit of planning beforehand. During the high season (which we’re in right now), the trail is booked up months in advance. And since we had no idea when we’d be in Peru when we first started out travels, we were out of luck when it came to the Inca Trail. 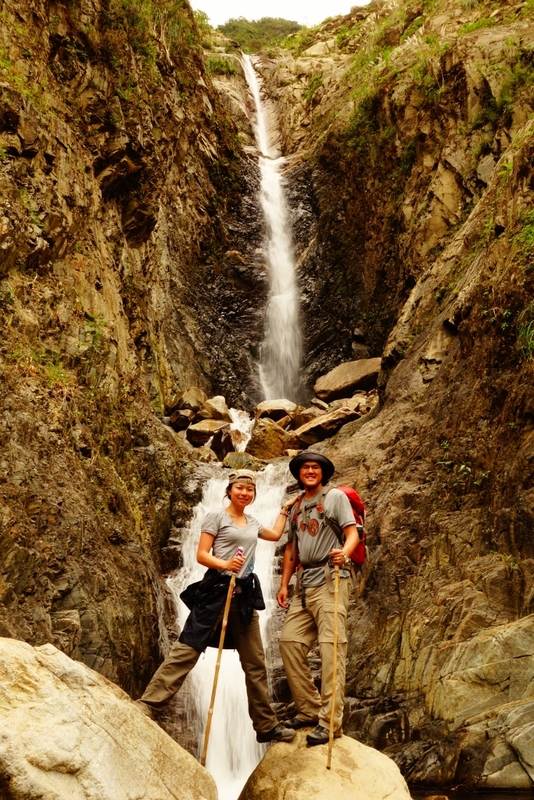 Luckily for us, there are several great alternative trekking routes to Machu Picchu that don’t require booking way in advance. Jason did some research and after comparing the available routes, we decided that the Salkantay Trek was right up our alley. 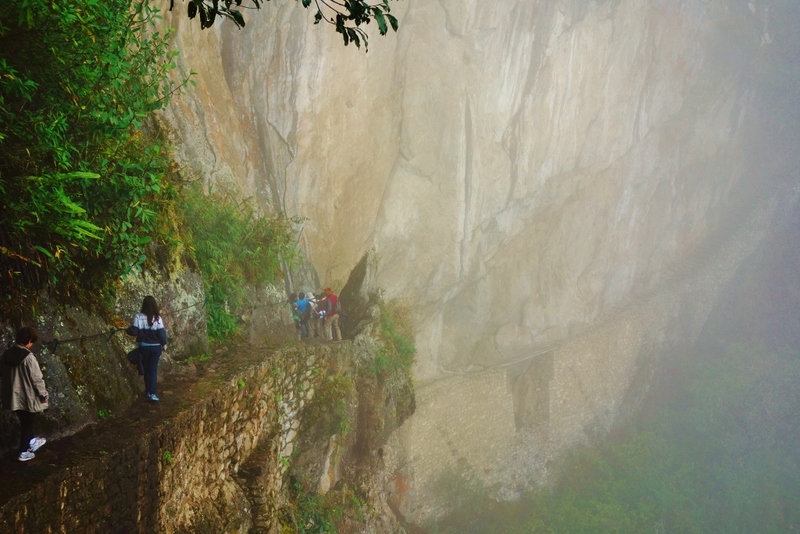 It’s a demanding, longer, and more scenic trek to Machu Picchu than the Inca Trail. Available in a 4D/3N or 5D/4N option, we naively chose the 4D/3N option thinking it may be a little easier. Wrong! The shorter trek is more difficult, we discovered – as we had to cover the same ground but in a shorter amount of time. 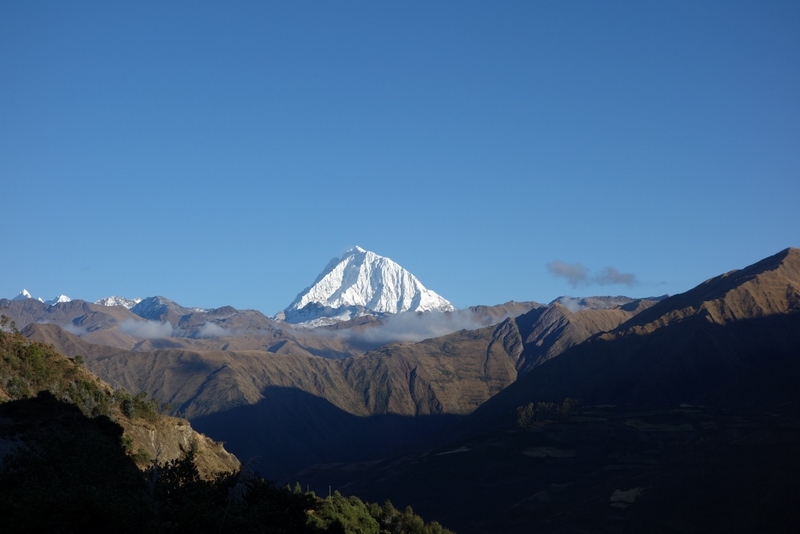 Our first glimpse of Salkantay Mountain from afar. We’ll be coming to within 1500m of its peak. As for which trekking company to go with, we researched quite a few companies and read tons of reviews, as we wanted to make sure we chose an ethical and eco-friendly trekking company. 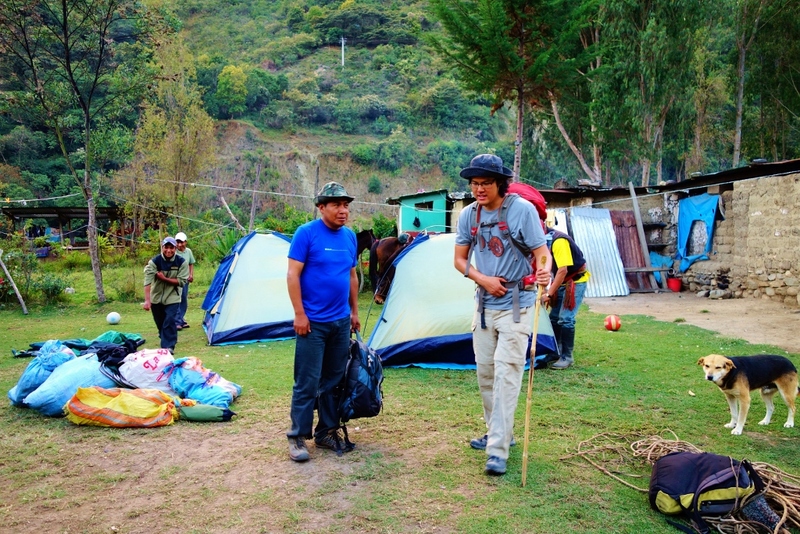 There are a lot of trekking companies out there, but not all treat and pay their porters well and some do not care about keeping the environment clean and carrying all the waste back out of the trekking route. 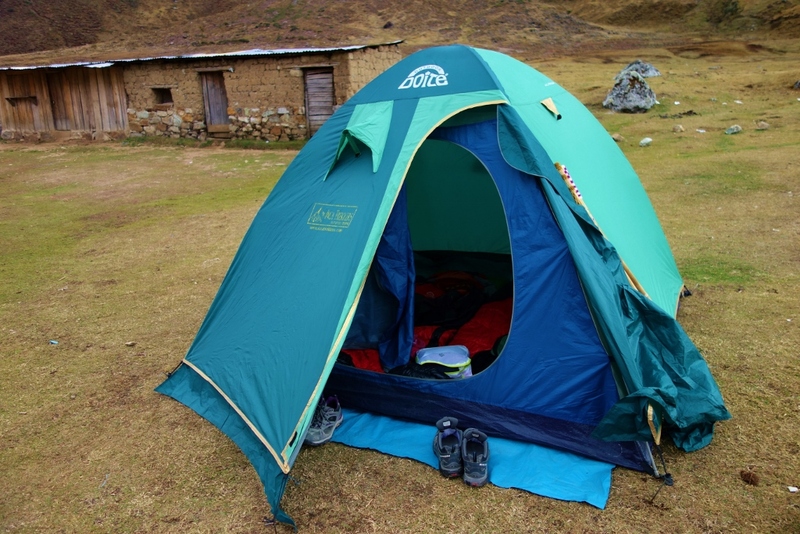 It came down to two companies that seemed to offer all the things we were looking for – the well-established Llama Path and the newer but well-reviewed Inca Trekkers. 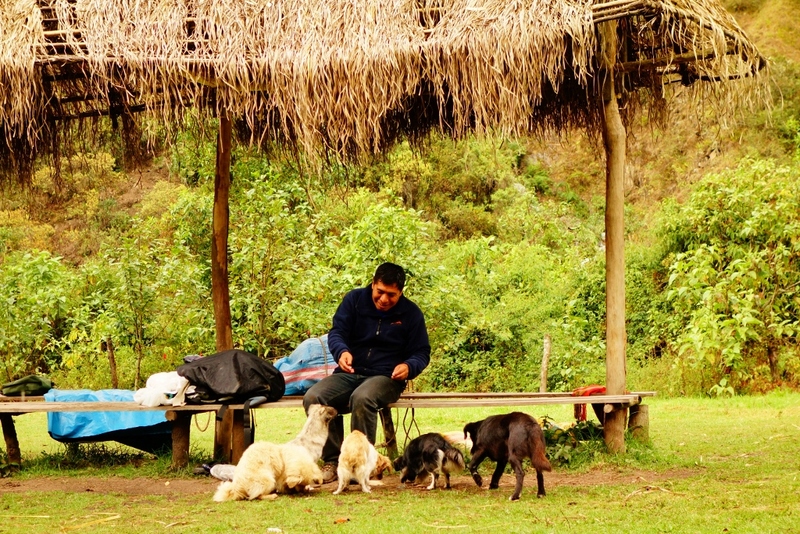 After reading up on the differences between the two companies, we decided to go with Inca Trekkers as we felt a newer company would likely ‘go the extra mile’ in terms of offering their clients an excellent experience, as opposed to a well-established company that already had the benefit of building a good reputation (i.e. comments on TripAdvisor confirmed the growing complacency of Llama Path). 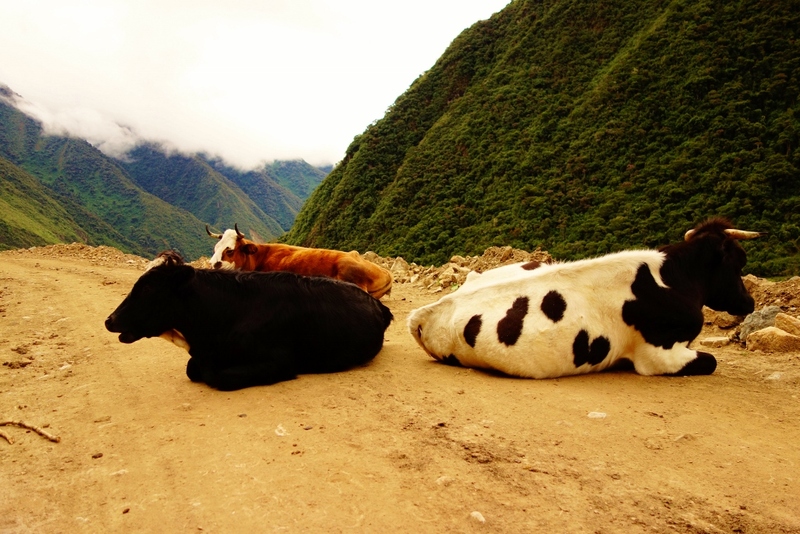 Looking back, we really appreciated the things that Inca Trekkers did do to go that extra mile (i.e. 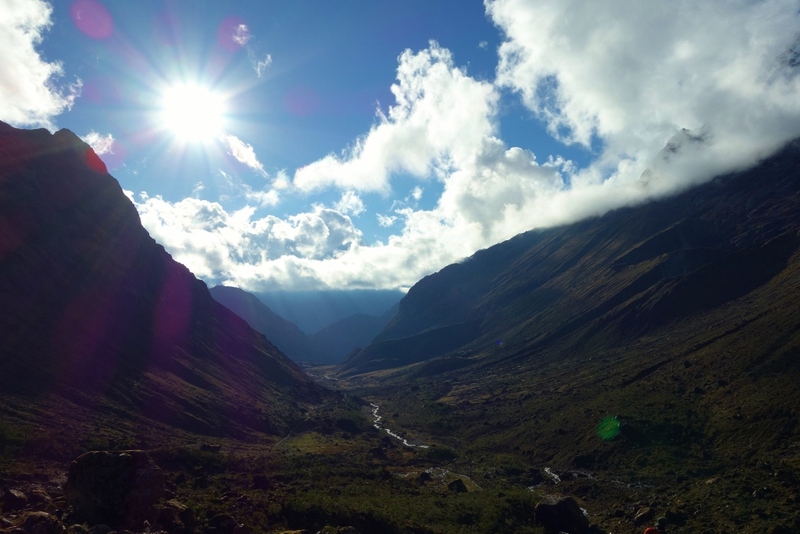 holding the briefing session in the comforts of your hostel, bringing you back to your hostel after the trek instead of ending the tour in Aguas Calientes – the town at the foothills of Machu Picchu). One more bonus: on a tour that typically consists of 12-16 people, it would just be Jason and I! Score! 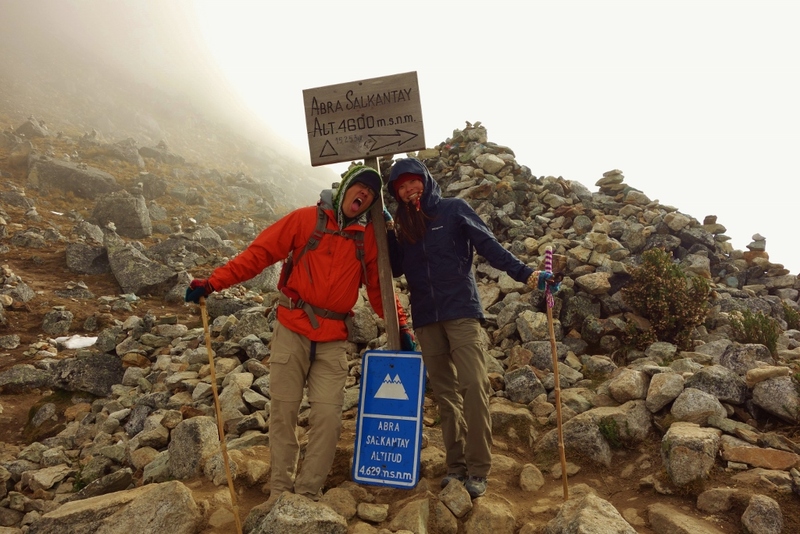 Oh, and If you want a more detailed itinerary of the 4D/3N Salkantay Trek, click here. On the brilliantly sunny first day, we started off hiking to the highest point of the trek – a breathtaking high pass of 4700m (called Salkantay Pass) right next to the spectacular, snow-covered peaks of Salkantay mountain (6270m). At the beginning of our trek in Soraypampa with our guide, Hugo. 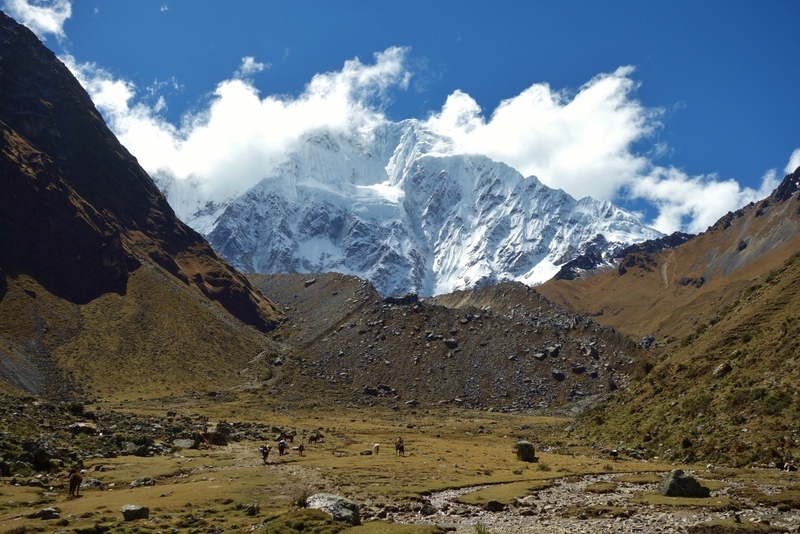 You can see the giant peak of Salkantay looming in the background. This scenery was magnificent – glacier peaks on our right, green mountain tops on our left. We even spotted a couple of Condors – Peru’s national bird. (It’s supposedly good luck when you spot one – so we hoped this was a good sign for the upcoming couple of days). 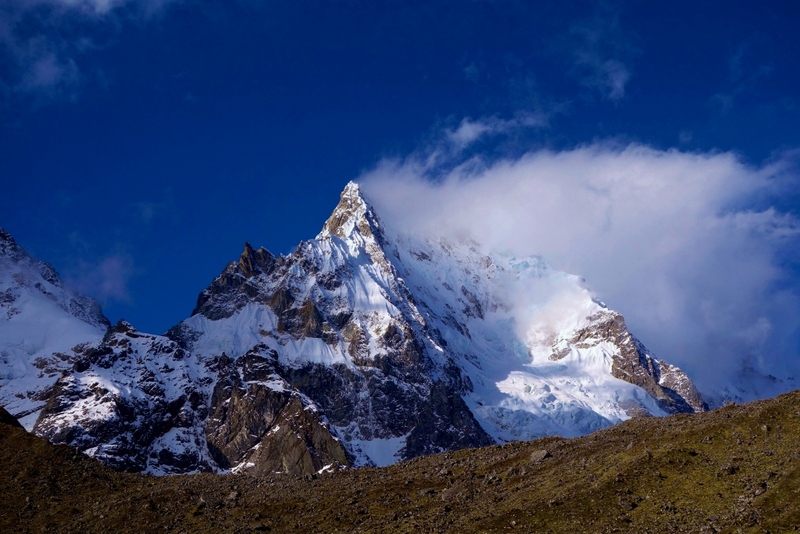 Approaching Salkantay Mountain. You can appreciate the sheer size of the mountain by comparing it to the people on horses at the bottom of the picture. 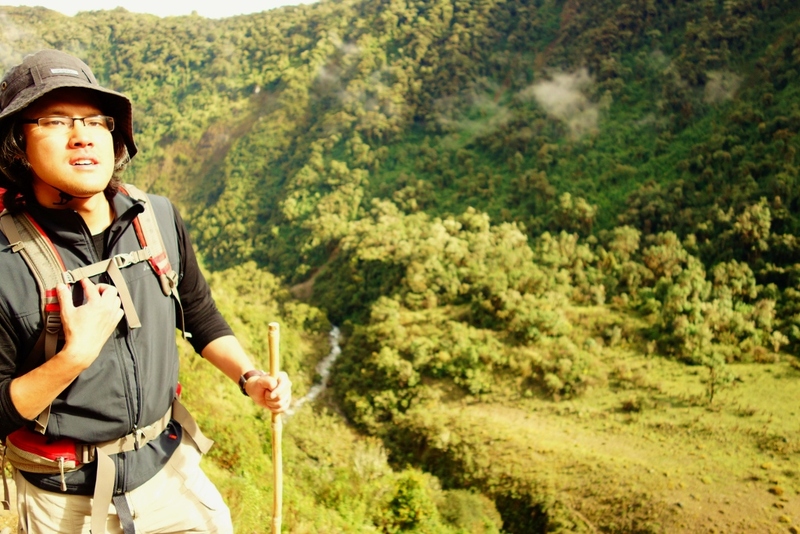 The 3-hour uphill battle was the hardest part of the 4-day trek. The incredibly thin air at that altitude (the highest we’d been, at that point) meant that you feel like you’re sprinting up the mountain. Your heart is racing, you’re gasping for oxygen that doesn’t exist, and your legs can barely plod forward. We had to constantly stop every couple of minutes to catch our breath. High altitude climbing is really difficult, even with all the extra precautions we took: taking pills to prevent altitude sickness (soroche, as its known in Latin America), eating chocolate to increase our blood glucose levels, sipping water to stay hydrated. People were not kidding when they tell you to make sure you acclimatize in Cusco (3300m) for a few days before doing this trek. Otherwise, you might have to turn around and head back down before the trek even starts. Finally reached our lunch spot! We’re at a breathless 4200m here. 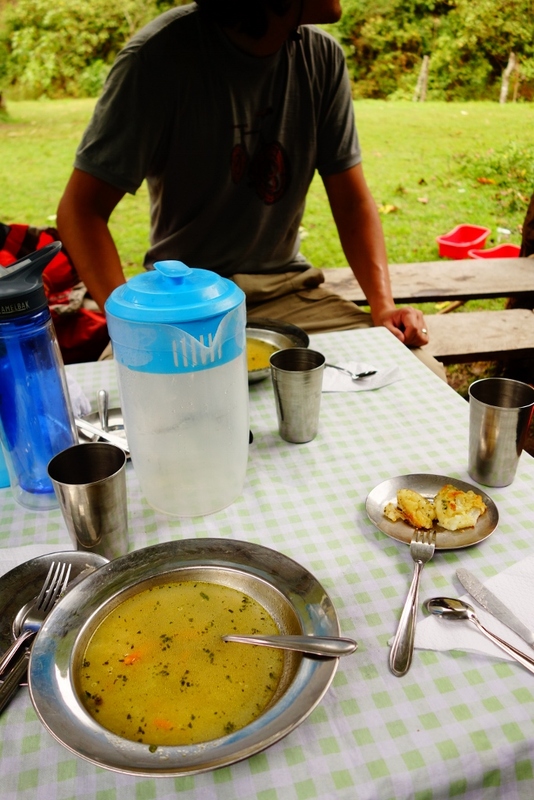 We stopped for lunch at a plateau near the top and had some deliciously hot chicken soup, avocado salad, fried trout and rice, and hot cups of tea. 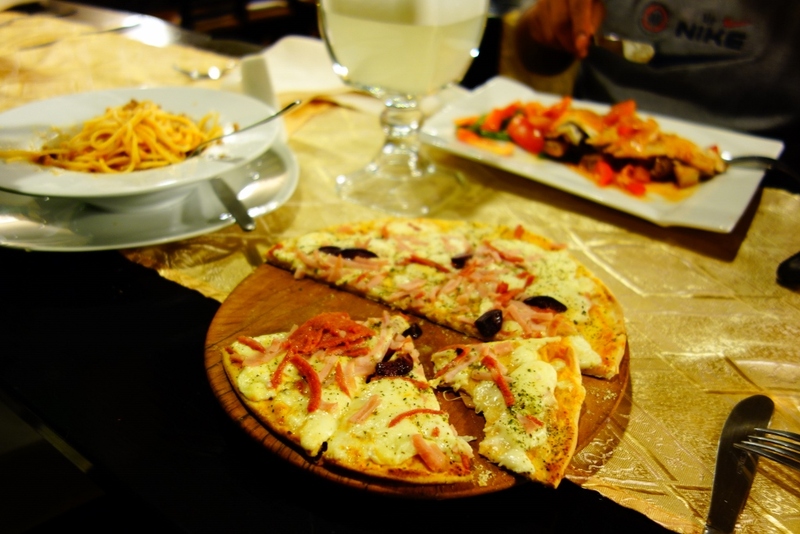 Quite possibly the best lunch ever after trekking in the freezing cold temperatures for 3 hours. Our chef was amazing and we had him all to ourselves! 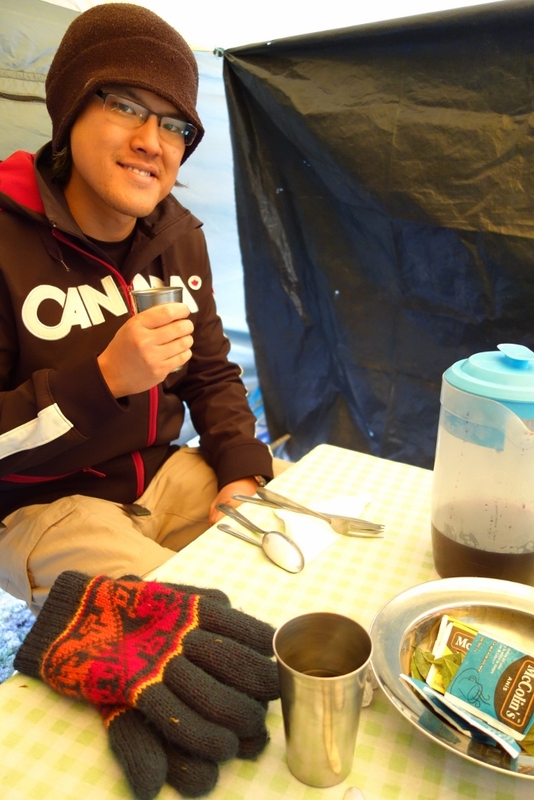 Jason, happy as a clam, as we warmed up with hot tea during lunch. 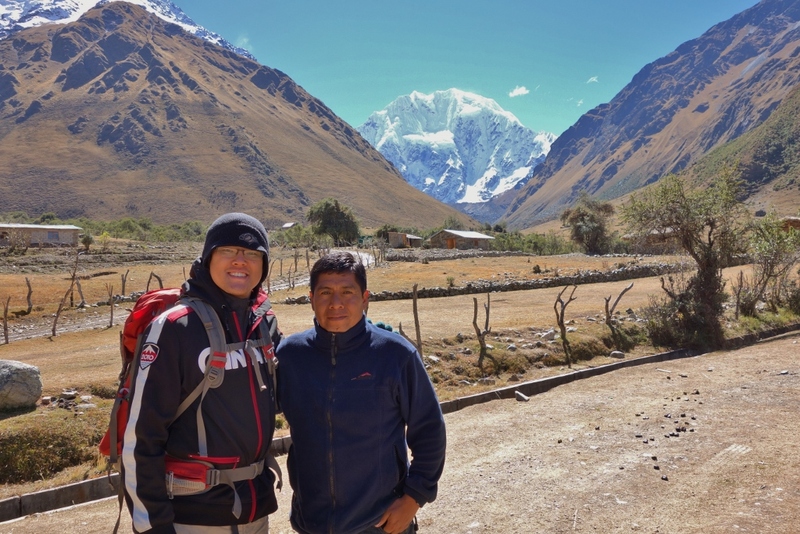 After refueling, we put on a few additional layers of clothing to continue to climb for another hour to reach the top of Salkantay Pass (4700m) – the highest point of our trek. Then it was downhill for another 2 hours until we reached our camp for the night. Our tent was already set up and there was hot chocolate, tea, and the best salted popcorn we’ve ever had waiting for us! They provided warm water to wash up! Talk about luxury camping. Our home for the next few days. Pretty roomy actually – it had a front “foyer” for us to store our muddy hiking shoes. 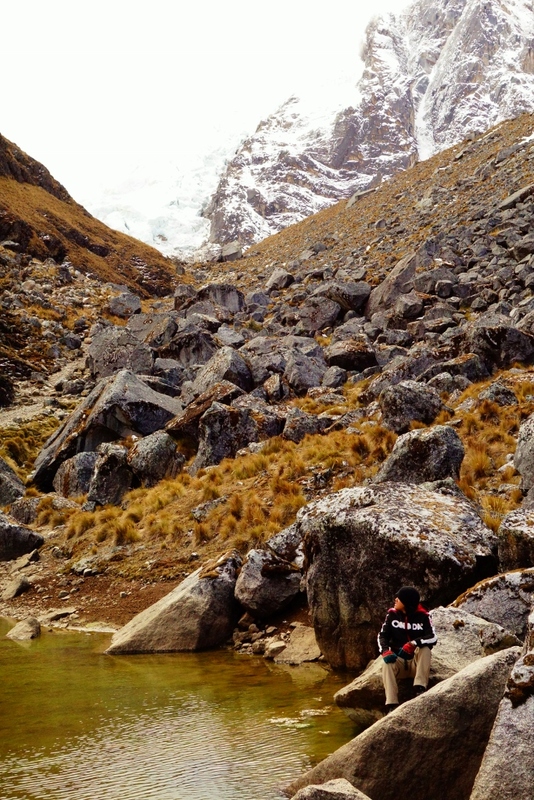 Our campsite was at 4200m – the air still really thin and freezing cold! Once we got into our high-tech sleeping bags, we didn’t want to come back out. I debated for half an hour in my warm sleeping bag before deciding that I really should make one last run to the washroom before heading to sleep. It was 8:30pm. When you’re camping with no electricity or even a campfire, it’s pretty much bedtime when it gets dark. The mountain we slept under and the view we woke up to. Instead of the usual 6:00am start time, we started at 7:00am since our guide, Hugo, decided that we were actually pretty good trekkers (based on our progress and speed from the first day). Yay! The extra hour of sleep was very much appreciated since getting out of the warm cocoon of a sleeping back and stepping out into the freezer-like temperatures outside our tent was really REALLY difficult to do. We started the day wearing every single piece of clothing we brought with us and spent the next 9 hours hiking downhill from the glacier-covered mountains into the jungle. Luckily there was cloud cover, or the jungle would’ve felt even more tropical. We stopped every hour to shed another layer of clothing as we descended deeper and deeper into the valleys of the subtropics. 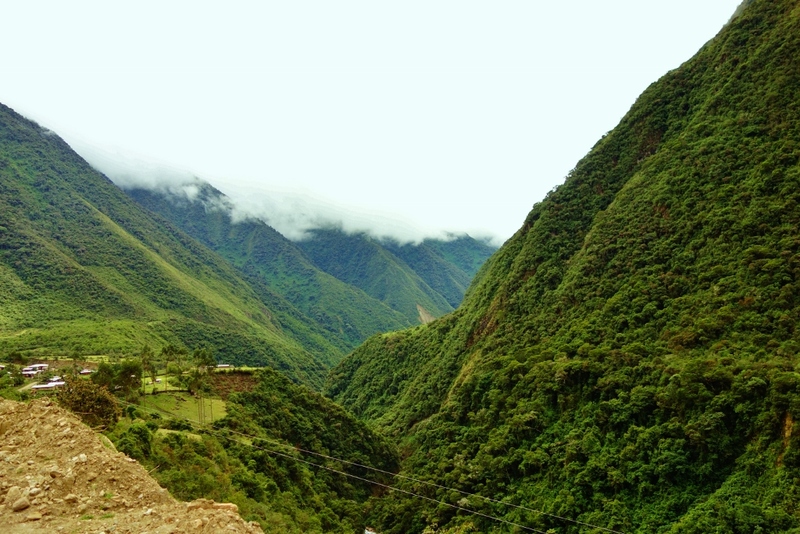 About an hour into Day 2 of our trek, we were already into the beginning of the subtropics of Peru. We reached our lunch spot on a local farm just before the clouds broke and the rain poured! We had delicious corn chowder and a platter of protein to help heal our aching muscles. 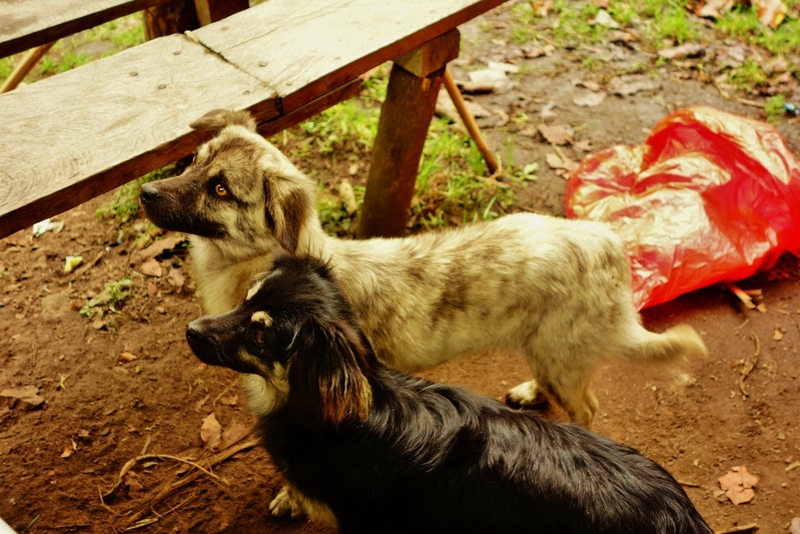 Jason made friends with some of the farm’s cute little dogs. They had such wonderful little personalities. We set off again just as the sun shot out through the clouds. Perfect timing. 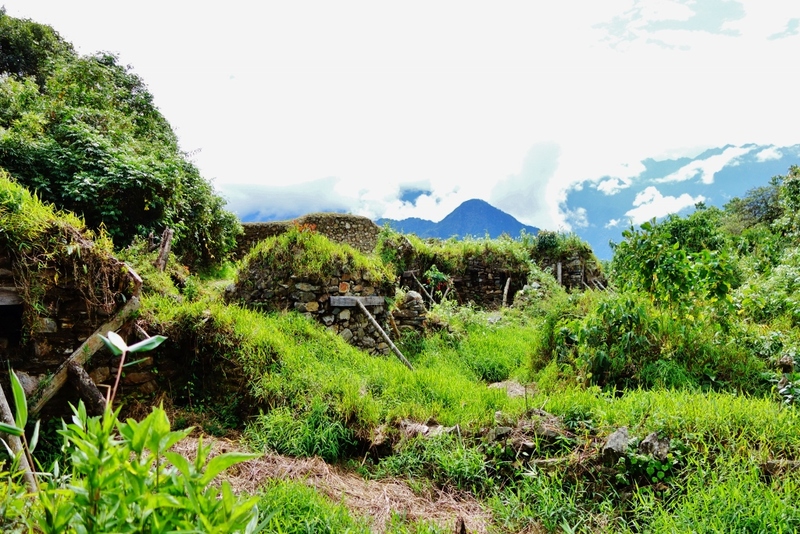 The grueling 9-hour trekking day came to an end at a small town near the base of the mountain on which the Llactapata ruins lie. Random cows relaxing in the middle of the road. We were hot and sweaty from the long hike through the subtropics, so Jason decided to take a dip in the frigid waters of Rio Urubamba. He also brought along a bar soap since we hadn’t showered in a couple of days 😛 He said it was actually really refreshing. By refreshing, he meant his skin felt like it was on fire after dipping into the icy cold waters. Before dinner, we talked with our guide, Hugo, as to whether we want to do the 7-hour climb over Llactapata the next day (4 hours up, 3 hours down in poor weather conditions). 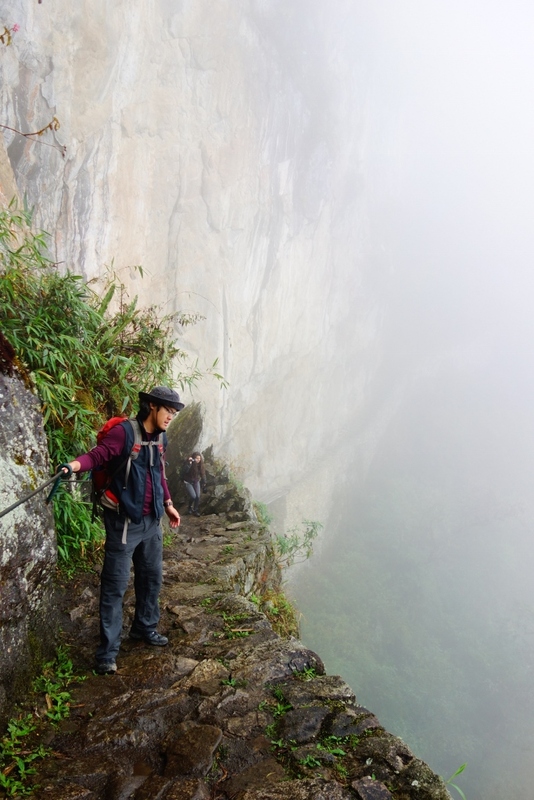 It would be a very difficult climb and descent as it was very steep and can be dangerous when it’s rainy. Jason really wanted to do it since the site of these ruins was part of Hiram Bingham’s original route, but my toes had taken a beating from the entire day of trekking downhill and were in a lot of pain. Before we arrived in Peru, both Jason and I had read an excellent (and funny) book by Mark Adam called Turn Right at Machu Picchu (2010). 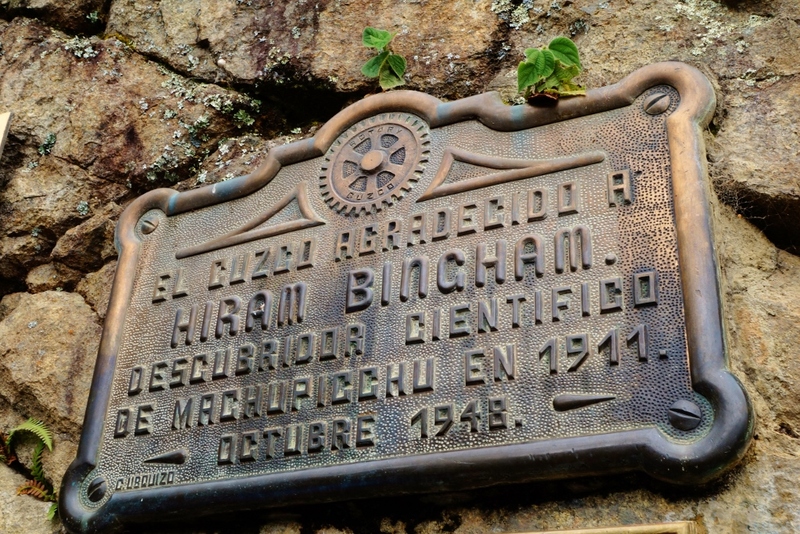 We had wanted to read up more about the history of Machu Picchu and the famous explorer Hiram Bingham who “rediscovered” the ruins in the early 1900s and the book provides an excellent layman’s account of Inca history and a first-person view of the Inca Trail and the alternative routes. Having read all about Llactapata and its ruins, we both wanted to climb and see the ruins. 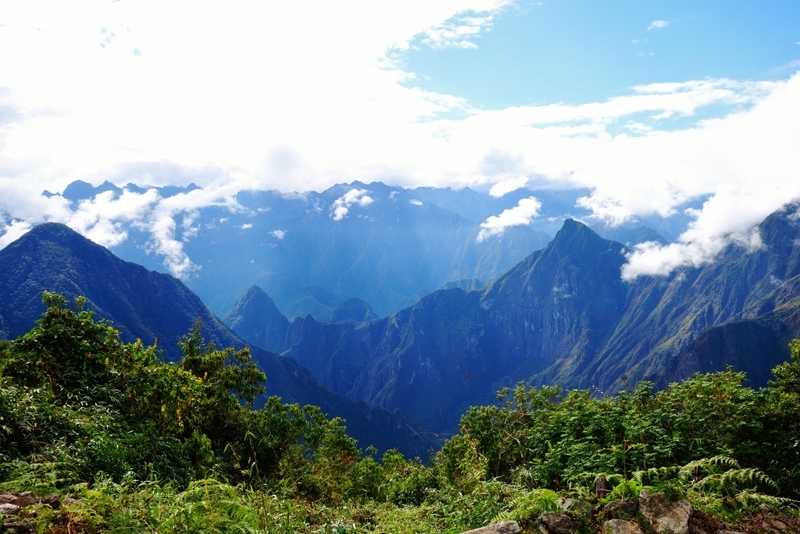 It’s been called the “suburb of Machu Picchu” since it’s so close to the forgotten Incan city – you can actually get a clear side view of the entire site of Machu Picchu from Llactapata. Since Hugo was leaving the decision up to us, I was leaning towards skipping the climb to Llactapata and meeting Jason and Hugo on the other side at the Hydroelectric station. However, over dinner, Hugo made the executive decision that all three of us would be doing the climb the next day. He told me that I was a good trekker and was in good shape for the climb since it wasn’t my knees that were bothering me. If I had any trouble descending from Llactapata then Jason and himself could always help me down. His confidence in me, along with the finality of his decision, renewed my own confidence in myself. I was actually excited for the climb now! After another incredible meal by our chef, Mario, we watched the stars for a bit before settling into our sleeping bags. It was so much nicer not being in sub-zero temperature. 🙂 We slept early knowing that we had a tough day ahead of us. We started at 6:30am the next morning after a hearty breakfast of sausage, omelettes, and bread. We got off to a good brisk start and made it up to the top of Llactapata in just under 3 hours. It was a hot, sunny day so I’m glad we started in the cool, early morning air. 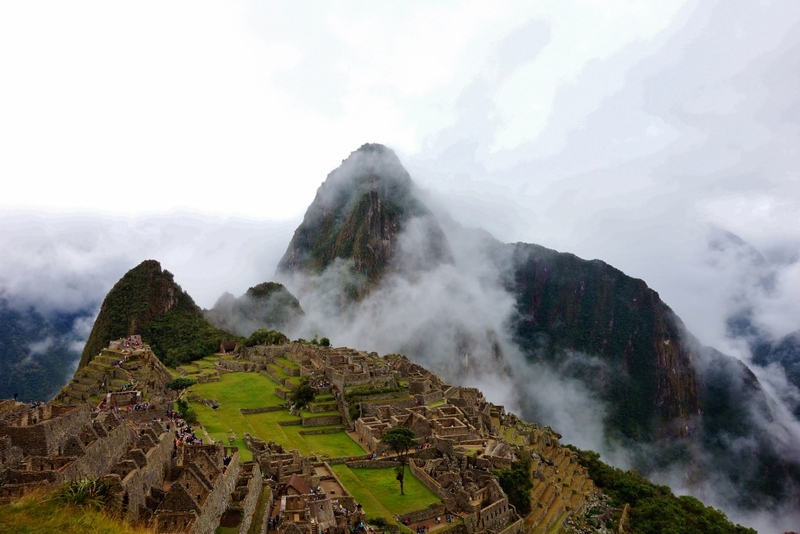 The view of Machu Picchu at the top was pretty awesome – our first glimpse of the famous city! The view of Machu Picchu from Llactapata. You’ll need to squint a bit, it’s a little hard to see. 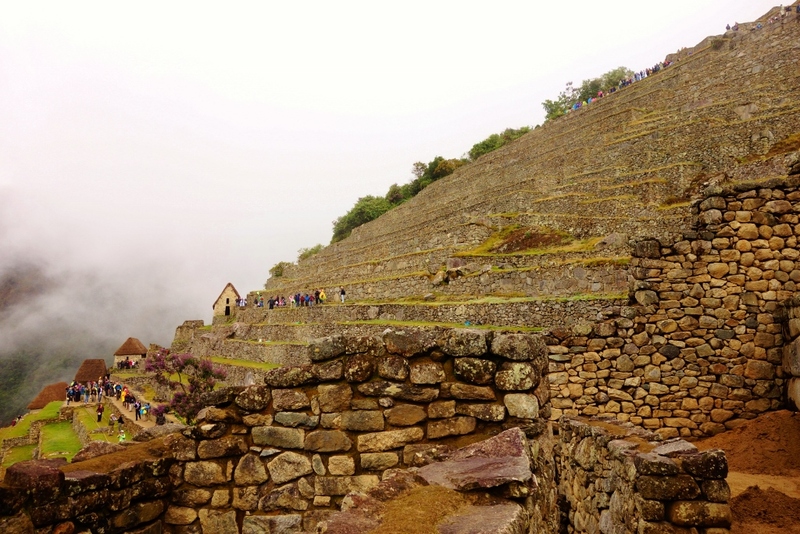 The Llactapata ruins themselves were pretty cool – it showed us what Machu Picchu would’ve looked like prior to its rediscovery and restoration. 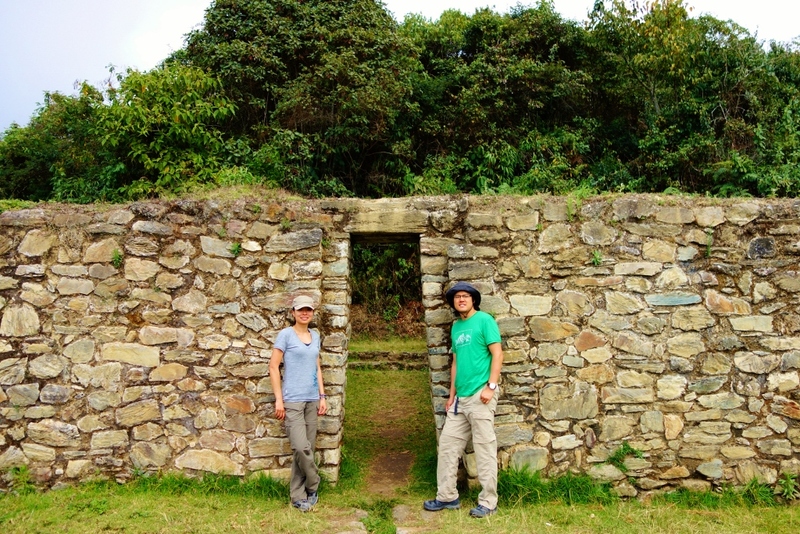 We sat in the shades of the ruins while Hugo gave us a little Incan history lesson. We then made it back to the bottom in 2 hours (we had the ideal trail conditions – sunny and dry) and then continued for another hour along the river to the Hydroelectric station for lunch. Trekking towards the Hydroelectric station on Day 3. After lunch was the last leg of our trek. After all the uphill through sub-zero temperatures and downhill through the subtropics, you would think the final leg of our trek would be easy – a flat hike in a mild climate along the train tracks from the Hydroelectric station to Aguas Calientes (the small town at the base of Machu Picchu that everyone has to pass through to get to the famous Incan site). Turns out that the final 3 hours was much harder than anticipated. By then, our bodies started really complaining from all the abuse. Our muscles started stiffening up and screaming in pain and we pretty much hobbled our way through the final excruciating hours. We finally made it into town around 4pm where we flopped down on a patio and had the coldest, best-tasting beer we’ve ever had in our lives. 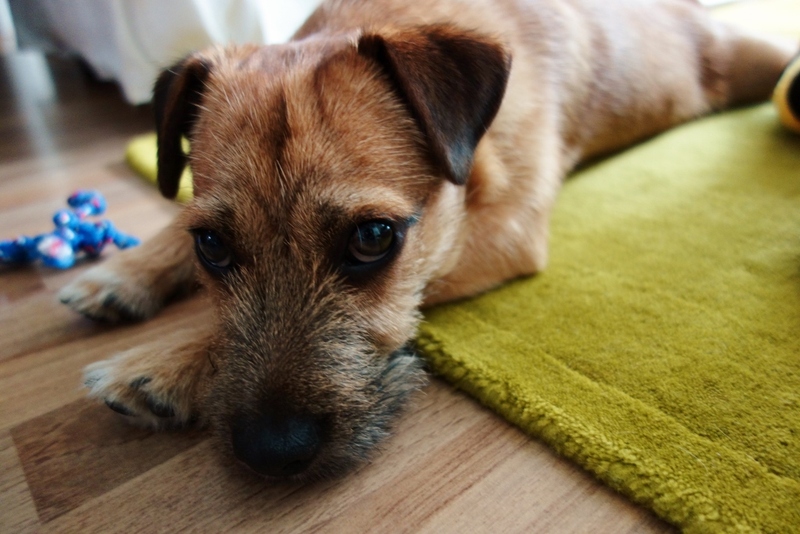 We checked into our hostal, had our first shower in 3 days, and met Hugo for dinner. We cleaned up pretty well…Hugo hardly even recognized us. 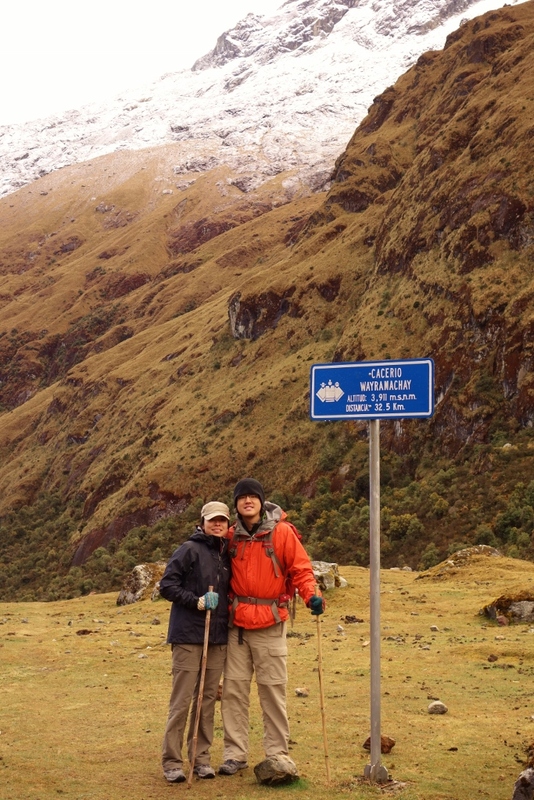 Some people who like to remain purists prefer to hike up from Aguas Calientes to Machu Picchu. 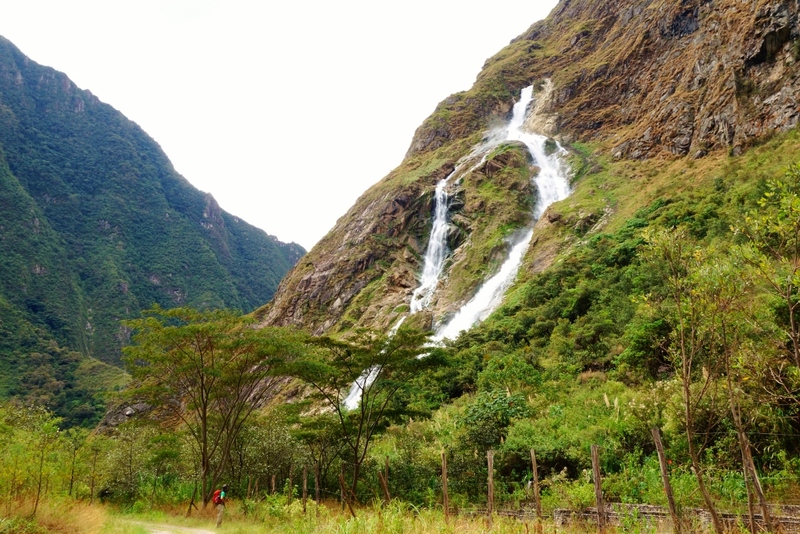 After 3 grueling days of the Salkantay trek, I was so relieved that Hugo had planned for us to take the 20-minute bus ride up from the town to the steps of Machu Picchu. We lined up on a rainy morning outside the bus stop to catch the 7am bus up. The sky was overcast and drizzly as we entered Machu Picchu. Hugo decided not to take us out to the look-out spot yet as the entire site was still under cloud cover. We walked around the site, while Hugo provided us with wonderful little tidbits of information and history. 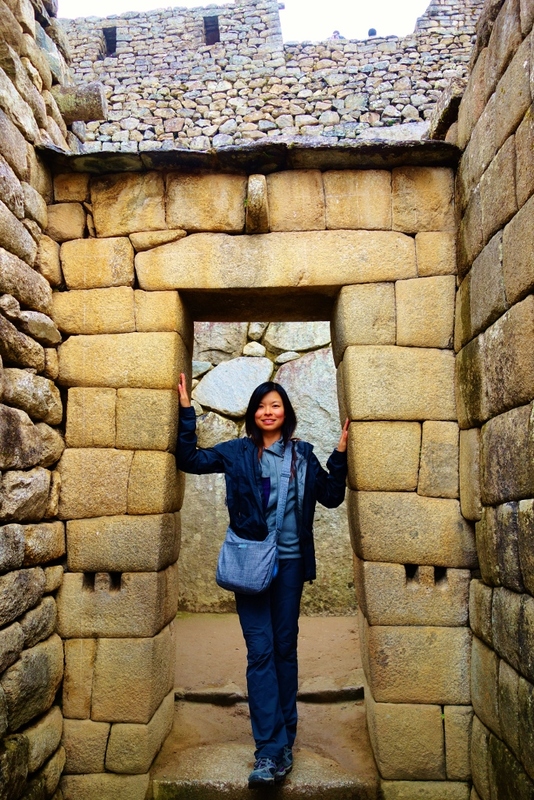 Perfect Incan stonework at Machu Picchu – you can’t even fit a knife between the stone blocks. After the tour, Jason and I had time to wander around the site by ourselves. We waited patiently for the cloud cover to lift so that we can take a few photos of the entire site. 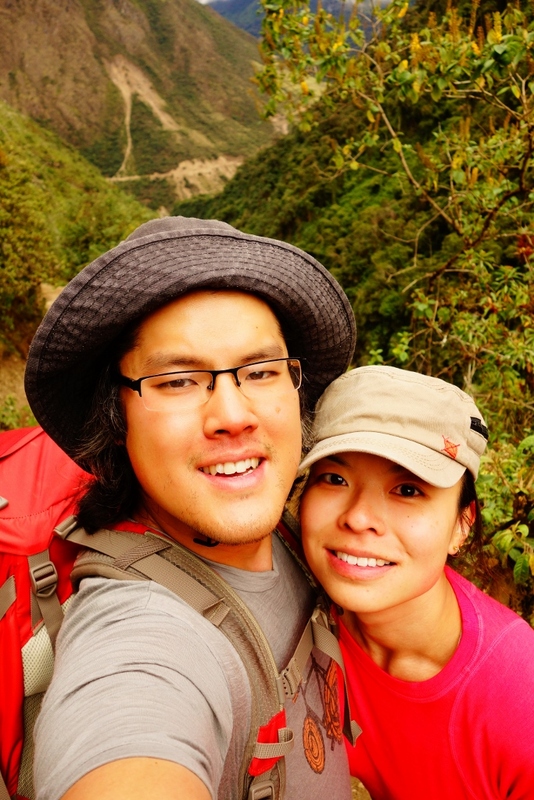 We trekked the 20-minutes to the nearby Incan drawbridge. Pretty scary trek as there are parts that that are only 2 feet wide and then a sheer drop into oblivion. Jason, who is quite afraid of heights, caressed the rock wall the entire route there. You can only take a picture of the bridge from afar now, since in 2005 a visitor crossed the bridge and sadly fell to his death. 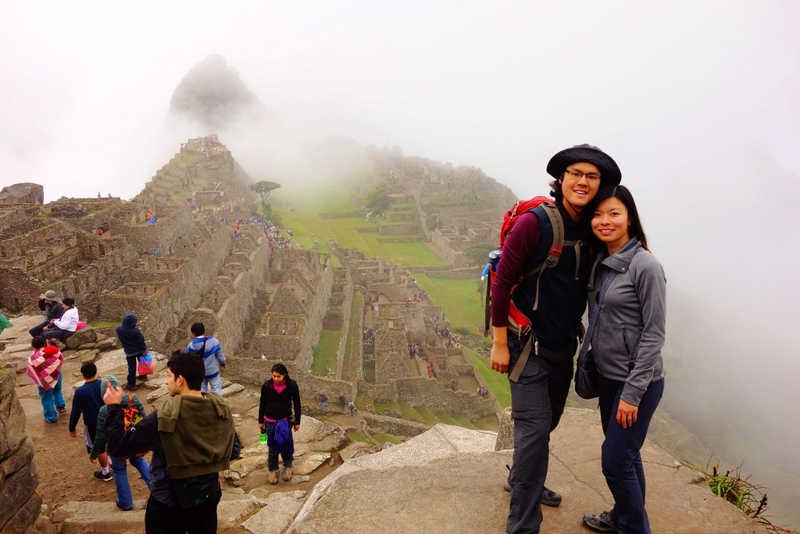 We wandered back to the Machu Picchu ruins to discover the clouds slowly lifting! Hugo had told us that sometimes, the clouds never lift and disappointed guests have to go home without ever glimpsing the ruins in full. The views are really quite spectacular up there. 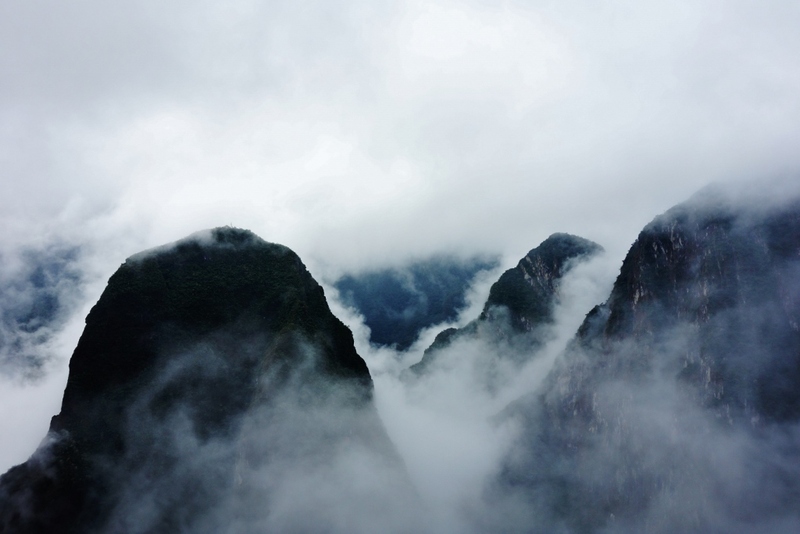 The clouds that linger around the mountain tops lend such a mysterious aura around the entire lost city. It’s interesting to think that experts are still trying to accurately figure out why this place was built in the first place. Even with the crowds of tourists swarming around the site, Machu Picchu still manages to remain mysterious and full of secrets.